We make wholesome food waste-fighting snacks to create more taste and less waste. We’ve been making deliciously sustainable snacks to tackle food waste since 2013. We started making our first product, fruit jerky, by hand from fruit we collected from wholesale markets, and sold it ourselves at markets across London. 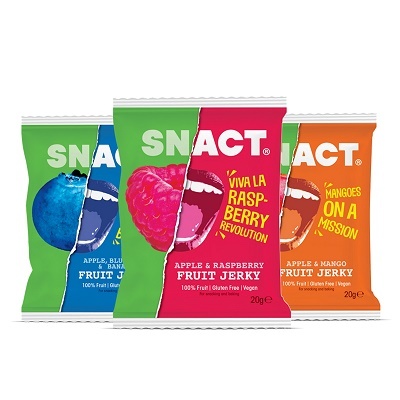 After a lot of trial and error, playing with a lot of fruit, and a successful crowdfunding campaign, we launched our first packs into shops at the end of 2015. 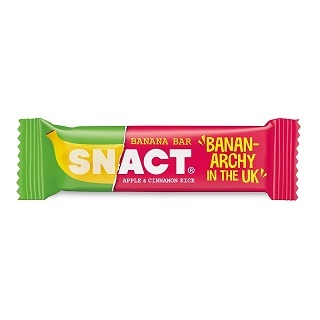 By 2016, our snacks found their way to offices and schools, and became stocked in Ocado, Amazon, Planet Organic, As Nature Intended, Sourced Market, and lots of independent outlets across the UK and beyond. Later that year we switched to home compostable packaging, realising a long-term ambition to start tackling packaging waste as well as food waste. We’re always hungry for change, and ready to take on new challenges within the food system. That’s why in July 2017, we launched a new crowdfunding campaign for a new product: awesome food waste-fighting banana bars. Click on the link below to read about the campaign and join the #deliciousprotest!